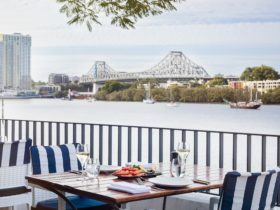 Mantra South Bank is located on the beautiful banks of the Brisbane River in the South Bank precinct and is close to the vibrant central business district. 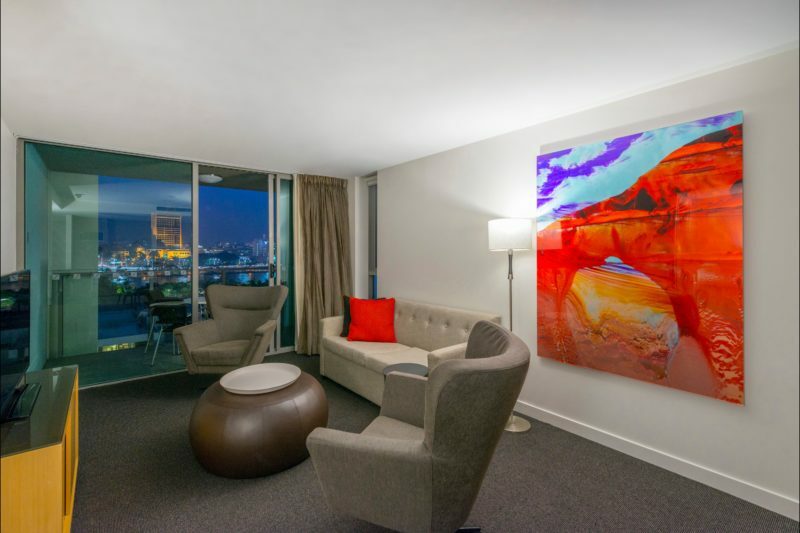 Conveniently surrounded by a host of cultural and leisure attractions, whether you feel like wining and dining, catching a show or exhibition, or are in town for work, Mantra South Bank is perfect. Choose from a range of accommodation options depending on the size of the group travelling, with Hotel Rooms, Studio and One or Two Bedroom Apartments. With a contemporary design, all rooms and apartments feature wi-fi, tea and coffee making facilities and mini bar. 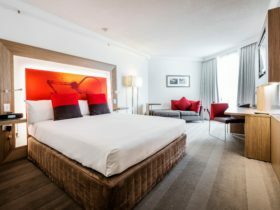 With a great range of hotel facilities, your stay will be as convenient as possible. 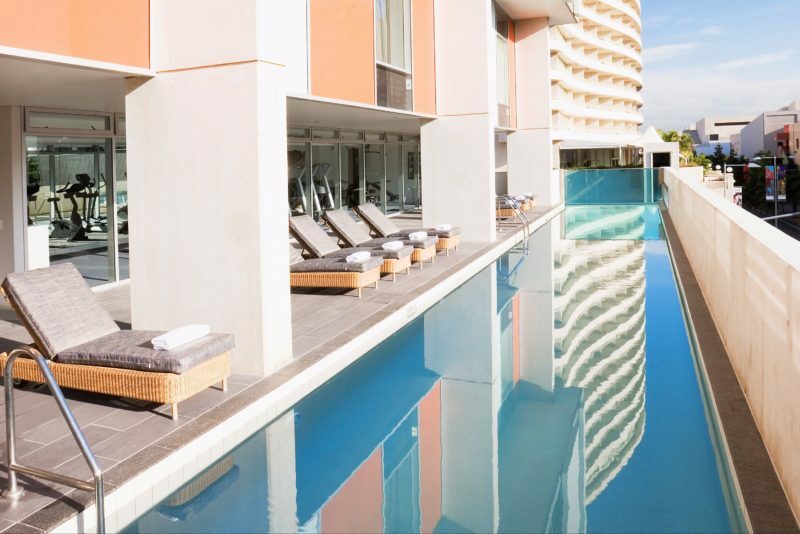 For those who enjoy staying in shape on holidays, make good use of the heated lap pool and fully equipped gymnasium. 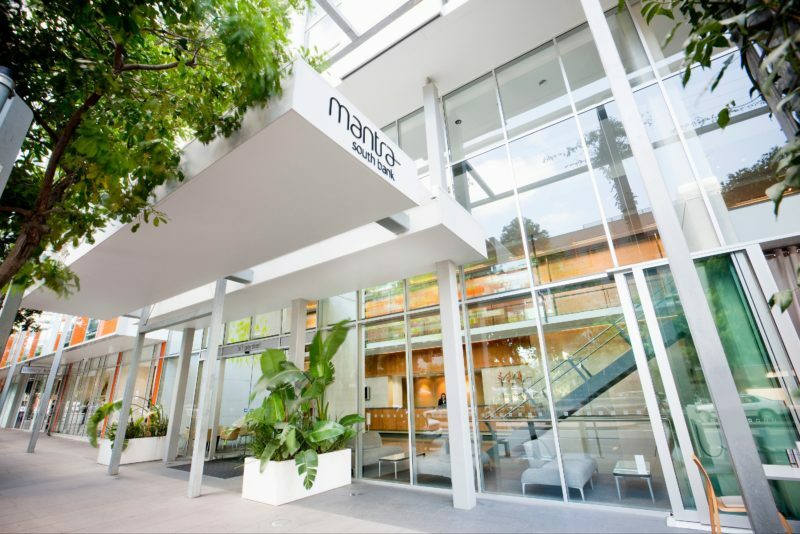 Mantra South Bank offers on-site car parking (fee applies). The Studio Apartment has been stylishly designed to offer you maximum comfort and convenience. The room contains one king bed or two single beds. The rooms also feature kitchenette including microwave and sink. 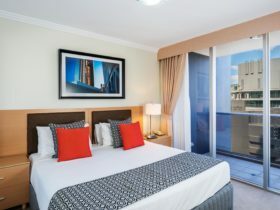 The 1 Bedroom City View Apartment has been stylishly designed to offer guests maximum comfort and convenience. King bed or two singles accommodating one to two people. Fully-equipped kitchen with stone benchtops and stainless steel appliances with many more features. The Hotel Room has been stylishly designed to offer you maximum comfort and convenience. The room contains one king bed or two single beds. The rooms also features tea and coffee making facilities and a bar fridge. The 1 Bedroom Apartment has been stylishly designed to offer guests maximum comfort and convenience. Includes either a queen, king or two singles bed accommodating one to two persons. 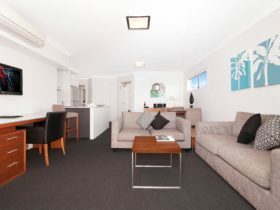 Fully-equipped kitchen with stone benchtops and stainless steel appliances with many more features. The 2 Bedroom Apartment offers two queen beds or one king and one queen, along with a fully appointed kitchen with stone bench top and stainless steel appliances, laundry with washer and dryer. 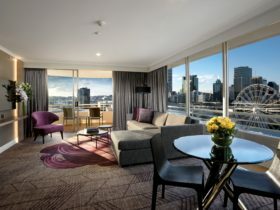 Features one king or two singles accommodating up to two people, along with air-conditioning, tea and coffee making facilities, mini bar, and great city views from your apartment.